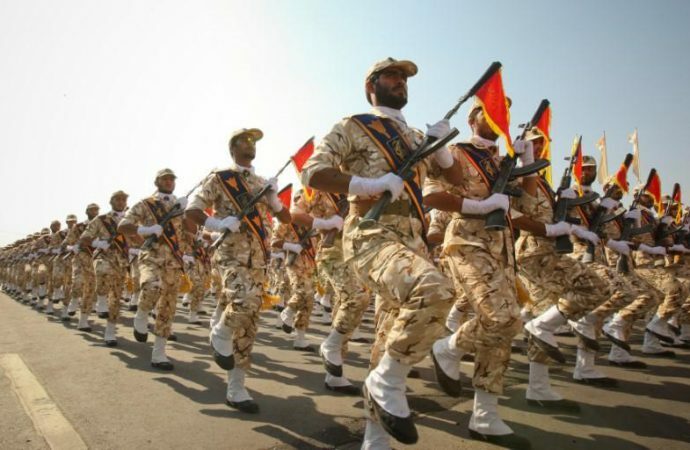 Effective today, Iran’s Islamic Revolutionary Guard Corps will be designated as a foreign terrorist organisation (FTO) by the US. The move is notable as it is the first time a government entity has been added to the FTO—today’s designation puts the Revolutionary Guard in the same company as al Qaeda and ISIS. 125,000 personnel strong, the Revolutionary Guard is one of Iran’s three armed forces and reports directly to the country’s supreme leader, Ali Khamenei. The Guard is also economically powerful, controlling some 20% of Iran’s economy. Despite this, today’s designation will have little effect on the Guard’s operations. The force is already suffering from US sanctions on Iran, which is expected to cause its economy to contract by some 3.6% this year. Still, it is a crime to do business with an FTO-designated organisation, so any countries still engaging with Iran, particularly Iraq, will need to be careful or risk sanctions. Washington will hope that placing the Guard on the FTO will put further pressure on Iran to change its behaviour, but the opposite outcome is likelier. Expect the move to steel Iran’s resolve and even possibly put US troops in the Middle-East in danger, where the Guard enjoys considerable power and influence.